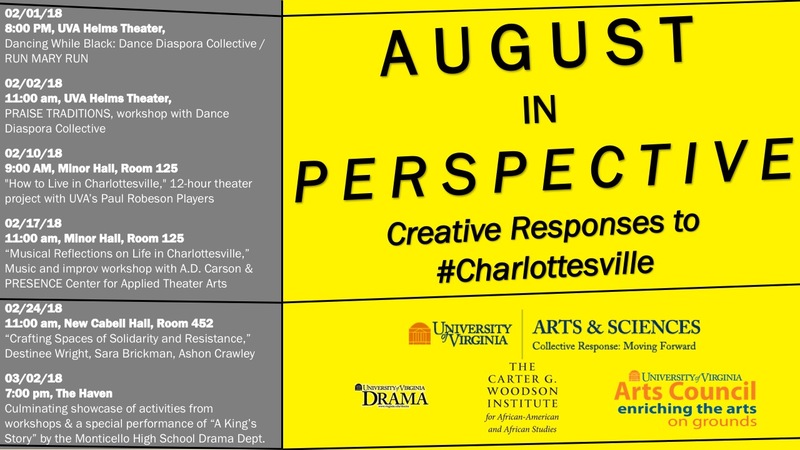 On each Saturday in February 2018, the "August in Perspective: Creative Responses to #Charlottesville" series will foster creative responses to the events of August 11th and 12th through theater, dance, music, and art workshops with UVA students and faculty, community organizations, and local area high schools. Registration for events is not required, but recommended, especially for those with dietary and/or accessibility needs. 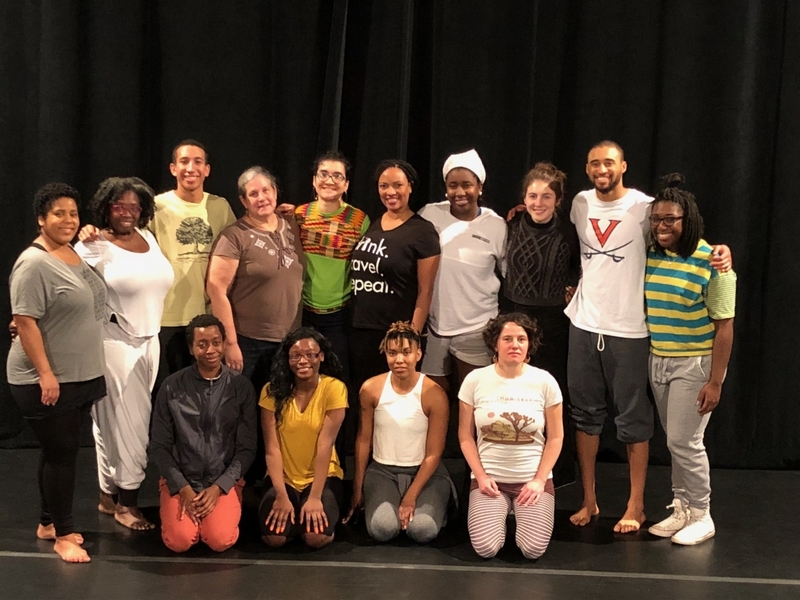 To kick off the series, Rashida Bumbray & Dance Diaspora Collective’s Dancing While Black perform “Run Mary Run.” The free performance and discussion take place at UVA's Helms Theater on Thursday, February 1st at 8:00 pm. Free tickets can be reserved via UVA Arts Box Office. 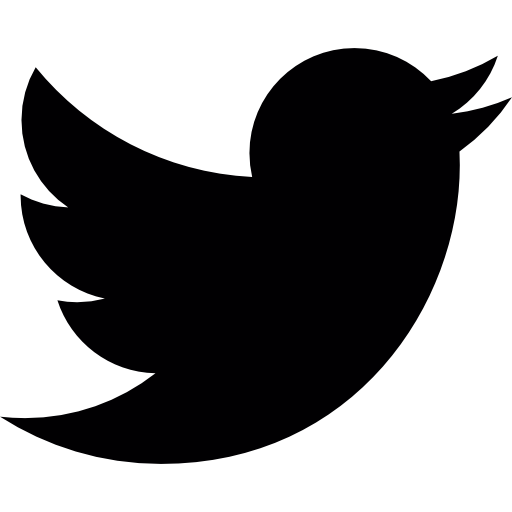 The visiting artists will host a workshop on Friday, February 2nd from 11:00 am – 1:00 pm in the Helms Theater. Please RSVP to khw6c@virginia.edu by January 31st, 2018. On the Saturdays of February 10th, 17th, and 24th, the August in Perspective series hosts the following workshops. About: With the Afro form and the pulse at the center, this class will explore 3 well known spiritual dances: The Baptist Shuffle (from the Deep South, Mississippi & Alabama); The Ring Shout (from the Sea Islands and Low Country of Georgia and the Carolinas) and the Cordon (from Cuba). No prior dance training required. Please wear comfortable clothing and shoes. Film screening of play and 12-hour play project, "8-12-17"